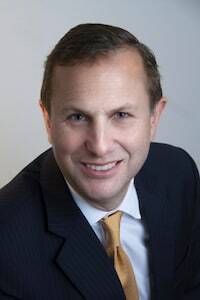 Peter S. Lubin | Chicago Commercial Litigation Lawyers Lubin Austermuehle, P.C. Contact Highland Park, Illinois Corporate Lawyer Lubin Austermuehle, P.C. Peter Lubin, firm co-founder, brings a wealth of courtroom experience to Lubin Austermuehle, P.C. 's business and class-action litigation. He has been lead plaintiff's or defense counsel on numerous multi-million dollar class-action lawsuits with national impact. Lubin Austermuehle, P.C. received the first DuPage County Law Firm of the Year award in 2008 for their commitment to the ideals of the legal profession. For over two decades, Peter has also handled a wide range of complex commercial litigation matters. Peter received an AB from Dartmouth College in 1980, and his law degree from the University of Chicago Law School in 1983. 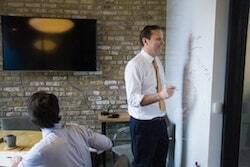 He teaches trial and litigation skills to law students at the University of Chicago Law School's Mandel Legal Aid Clinic. 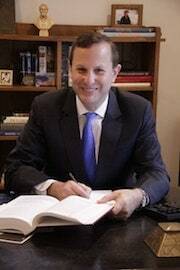 Peter was selected by the then Chief Judge of the Court of Appeals for the 7th Circuit to be one of the founding members of the Markey-Wigmore Inns of Court, and received commendations from various legal aid organizations for providing them with substantial awards from certain consumer class actions. In 2007 Peter was named to the Visiting Committee at the University of Chicago Law School. To review Peter's full resume for a description of the cases he has worked on click here.